Thor: Ragnarok has arrived in time, disproving Disney’s foothold at the international box office. In India, the superhero film opened to Indian theaters in the same week as Karan Johar-Shah Rukh Khan’s Ittefaq. Although Ittefaq has shown massive improvement in collections, it’s no surprise that the Marvel offering has raced past all of its competitors. Starring Sidharth Malhotra, Akshaye Khanna and Sonakshi Sinha, Ittefaq is garnering praise for its genuinely thrilling plot. The film which opened to a lukewarm response, has jumped to Rs 16 crore in three days. Thor: Ragnarok, which has been deemed as Marvel’s best superhero film by some, has had a stunning run in India, its earnings now pegged at a neat Rs. 35.46 crore, as per Taran Adarsh. 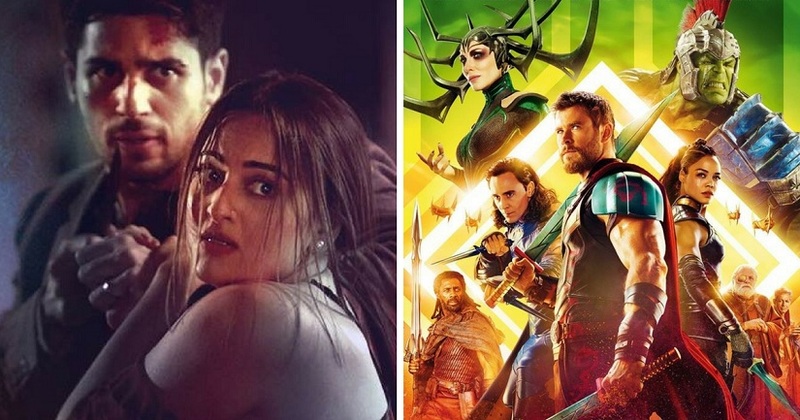 While Thor: Ragnarok finds itself at a comfortable spot right now, its international collections at $121 million, Ittefaq is yet to take the crucial Monday test. The film’s growth has been credited to word of mouth, so far but what remains to be seen is if it retains its position at the box office in the coming days.